Online ordering menu for Obee's Sub Shoppe (SPRING VALLEY). 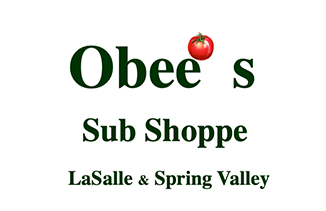 Here at Obee's Sub Shoppe, we offer handcrafted sandwiches & fantastic soups. Also offer wraps, pretzel bun sandwiches, & salads. A few of our subs include Chicken Cordon Blue, Malibu Chicken Breast, and California Turkey. We're located north of Hall High School at the corner of Dakota Street and 1st Street. Order online for carryout or delivery!